Atlas and the Anchor: P.O.D. - "Murdered Love"
P.O.D. return with the release of their long-awaited new album, Murdered Love, out now on their new label Razor & Tie. Produced by Howard Benson, who also produced their multi-platinum album Satellite, the new album is loose and harnesses their true, funky rap-rock sound. The lyrics are also some of the most direct and meaningful lyrics Sonny has ever put to tape. Special guest vocalists on the album include Jamey Jasta of Hatebreed on the powerful and heavy opening track, "Eyez" and Sen Dog of Cypress Hill acts as the ultimate hype man on the bouncy, hip-hop infused ode to their roots, "West Coast Rock Steady". The first single, "Lost In Forever" is the band's most anthemic track since "Alive" and has been soaring up the charts with its super-catchy chorus. The soon-to-be-a-hit ballad "Beautiful" stands out with an uplifting sing-along chorus. Another standout is the closing track, "I Am" which tackles topics like self-doubt, love and compassion with a brutal honesty as aggressive as the music. 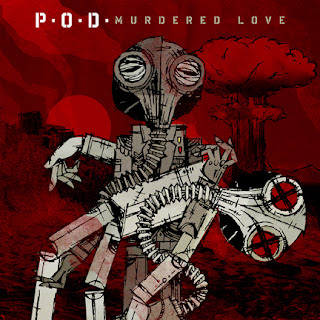 Murdered Love feels like a return to form for P.O.D. who has been together now for over 15 years and that experience has translated into their best and most focused album yet. Catch the band on tour the rest of the summer on the Rockstar Energy Drink Uproar Festival.